I just finished reading this book – Creating Freedom. What a revelation! It brings together ideas from many non-fiction books I’ve read over the last 20 years. Then it adds an excellent wrapper. And that’s no mean wrapper. It’s the deceptively simple notion that each of us has no influence over the person that we emerge into this world as. We don’t choose our parents. We don’t choose the environments in which we’re raised. Those basic facts mean that by the time we start to have a notion of ourselves as separate entities, a large part of our belief system is already in place, for better or worse. It raises questions about how responsible we can be held, or hold ourselves, for our actions. In turn, how responsible can anyone be held for who they are? That simple idea has complex implications – not least our notions of freedom. Read the book for more, it’s easily worth its cover price of a couple of kebabs, as I tell my university students in Toulouse. Or watch the film – The Lottery of Birth. Better still, do both, a couple of times, at least. 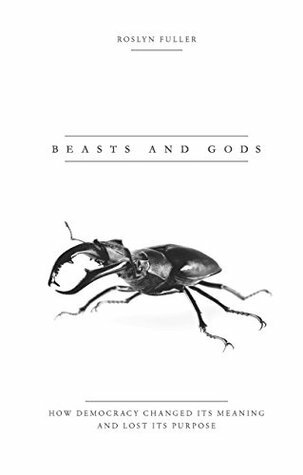 Another book that’s got me going recently is Roslyn Fuller’s Beasts and Gods. I declare an interest here – I interviewed Roslyn for my recent short documentary When Citizens Assemble. She gave valuable context on Ireland’s use of a Citizens’ Assembly to tackle the serially deadlocked question of Irish abortion laws. Roslyn makes a highly persuasive case for binning our systems of electoral democracy. She’d probably also want quote marks used around a word that’s so poorly understood and widely mis-used. Her argument is that Ancient Greeks held elections as being aristocratic or oligarchic. They used them sparingly. They preferred kratos by the demos via random selection of representatives and deliberative assemblies of citizens. Something like the criminal juries of today. Again – too much wisdom to transmit in a blog post. Forget buying those kebabs and other rubbish food – get, and read, this wonderful book instead. I hope to interview Roslyn again for future episodes of my democracy innovations short-film series. 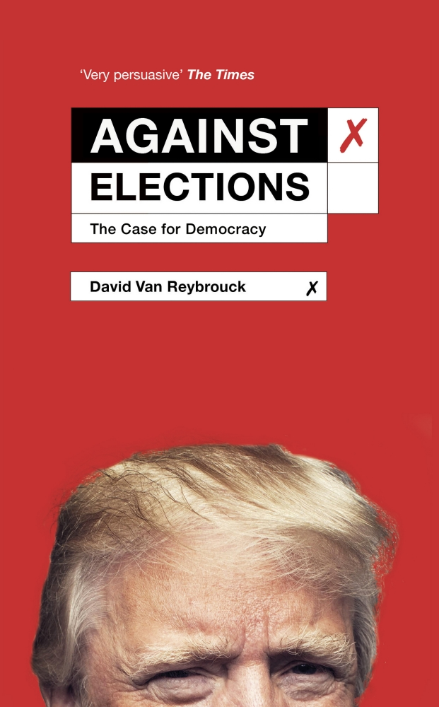 In the same vein as Beasts and Gods, Belgian writer David Van Reybrouck’s Against Elections is another cracker. Where Roslyn provides an legal-style, evidence-based case for the prosecution, David prefers diagnosis and a prescription for political recovery. Against Elections relates the history of random selection and deliberation from the Ancient Greeks onwards. The idea survived for a surprisingly long stretch of history. David then pinpoints where the term “democracy” got usurped, by the early US presidents, to camouflage a very undemocratic system of government. He then describes how the idea could be made modern, drawing on the best of current scholarship. It’s made simple and clear. Shame that his publishers chose to put a picture of US President Donald Trump on later editions of the book. I find it cheapens the book’s important arguments, and insults Trump supporters into the bargain. I see the president as a symptom of our political ills, not the systemic cause. The book comes accompanied by a valuable short video. It neatly sums up the arguments in a very manageable package. Again though, get out your wallet and pay for the original creative work. So those are three paid-for books I’d recommend, I’ll name a good few other ones over the coming weeks. 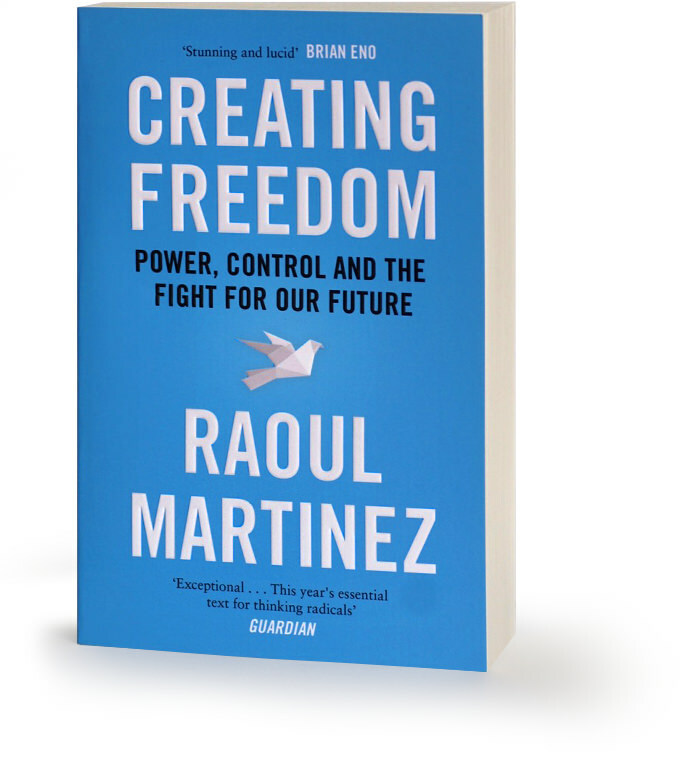 It’s part of my own small contribution to living the freedom advocated by Raoul Martinez. If you’re feeling cash poor, though, here’s an offer from a Scotsman that you might not get everyday. It’s a whole, real book, albeit in electronic form, entirely for free. 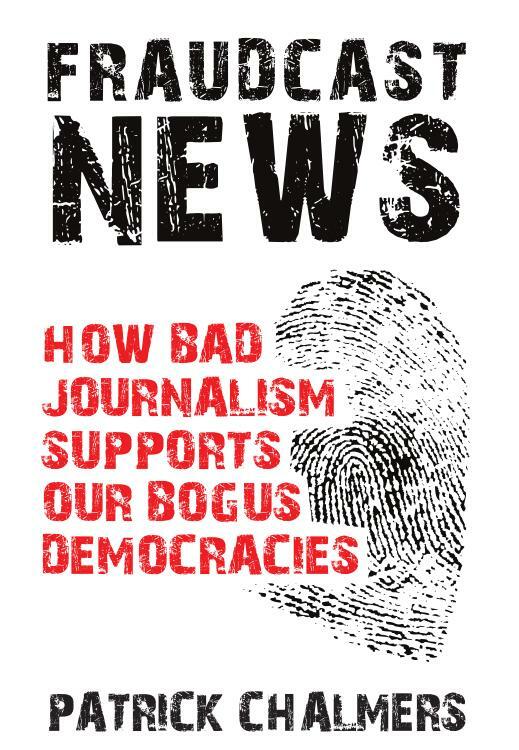 That’s of course my own one – Fraudcast News – which you can download as a pdf from here. I finished the text in 2011, making a minor change the following year. I felt a bit isolated when I wrote it, less so now. That must be worth a kebab or two. The same Donald Trump has catapulted questions of fake news and the nature of democracy to the top of people’s political radar.